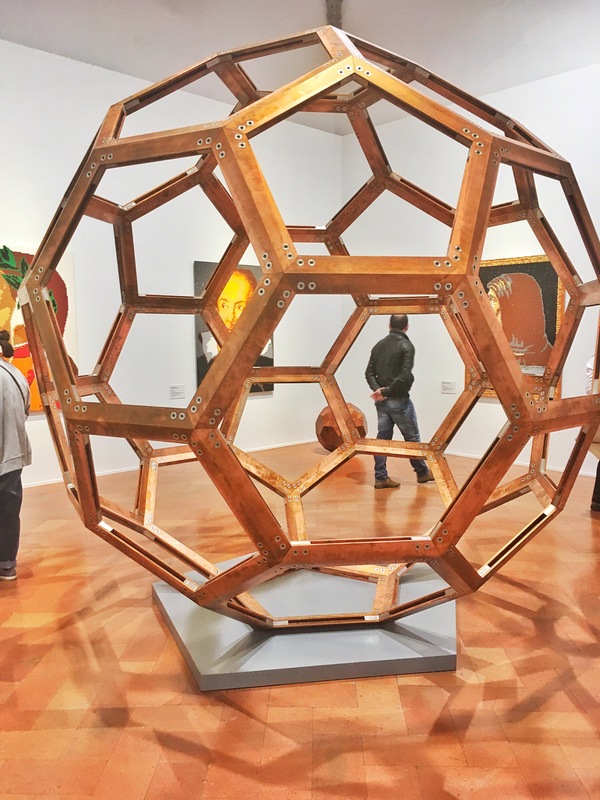 The World of Ai Weiwei. | In Florence. A Firenze. The World of Ai Weiwei. And what a magical world it is. I’ve been waiting for this exhibition for a while. I watched the lifeboats being hoisted up around the facade of Palazzo Strozzi, and followed Ai Weiwei’s journey to Florence via social media. Finally, I got to visit. If there’s something I really want to see, I wait until I’m 100% in the right frame of mind to see it. This sounds stupid, but I don’t want the slightest thing to mess up the experience. It’s the worst feeling, when you’ve built something up, only to be disappointed by the whole thing. Luckily, this wasn’t the case here. 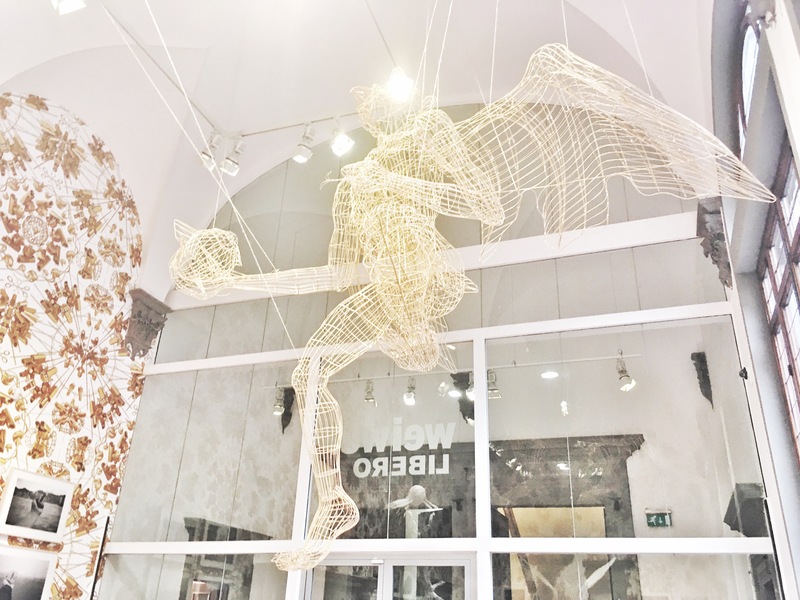 The retrospective ‘Libero’ is set up amongst the stunning architecture of Palazzo Strozzi, a fifteenth-century palace built in the heart of the city. He is the first artist to be given access to the entirety of the building’s spaces. It’s understandable why, because his artworks are generally on the larger side. Also, he’s a remarkable man, a renowned artist, political activist, and incredibly relevant in the current political climate. So it makes sense to give him free rein, especially in a historical building that was also intended to be a political statement of sorts. I haven’t included photos of everything for a reason, because some of them really deserve to be a surprise. Not only visually, but also the meaning behind the pieces. This was the first exhibition I’ve visited that has really moved me consistently. At first, you might look at some of the art and think, well that’s just a few shapes or objects stuck together. However, once you’ve read the accompanying text you view things in a completely new light. Every piece really strikes a chord, and resonates with events that have happened in real life. Perhaps, the most striking example, is the life boats hung outside the building, blocking the windows. These refer to the current refugee crisis. Like the boats prevent light from entering through the windows, many european countries are preventing refugees from entering their communities. The individual vs. community is a big theme amongst Ai Weiwei’s works. In a lot of the artworks, you really feel his own struggle with the Chinese government, and how he has rebelled against their oppression. Through his art he not only fights for individual expression, but also for an inclusive community built on equality and freedom. Freedom might be an obvious sentiment, given the retrospective is named ‘Free,’ but he creates art that discusses ‘Freedom’ in numerous contexts and various levels. It is truly an experience, not just an exhibition, because you come away from it, still discussing the matters that Ai Weiwei puts forward. It’s art that makes you think, which in my opinion, is the best form of art. If you’ve not seen it yet, you’ve got till 22 January 2017. It opens daily (including holidays ) 10.00-20.00, and Thursdays 10.00-23.00. To end this post, have my selfie with Ai Weiwei (also featuring my fab parents).